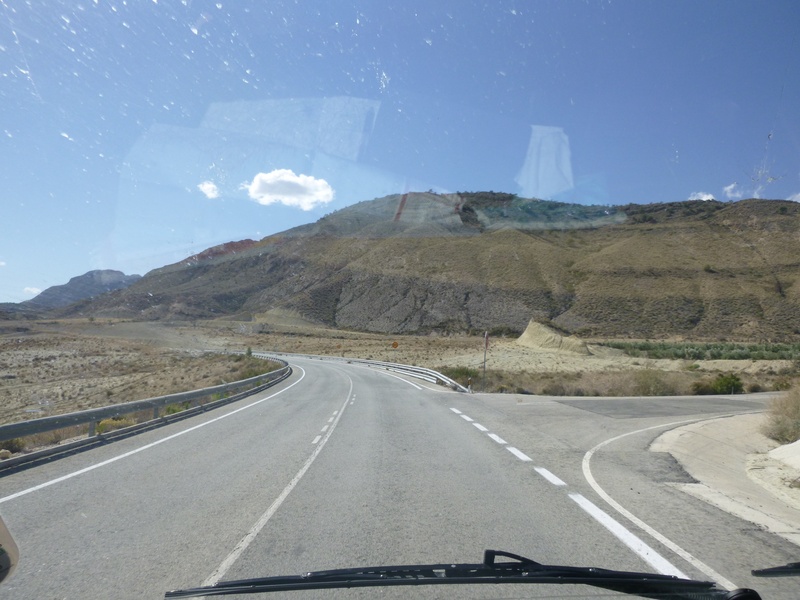 We left the next day and drove south west towards Granada. 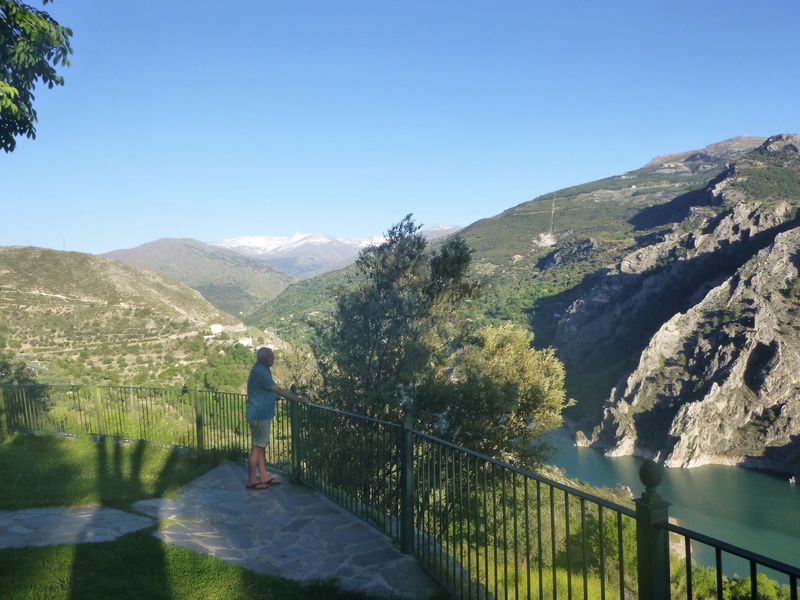 Our route took us through Gaudix, in the foothills of the Sierra Nevada, an area known for its troglodytes (cave dwellers). We were told that the earliest caves dated back to the 8th century, created by people burrowing into the soft sandstone. The main labyrinth of homes was created in the 16th century. The homes we saw from the motorway were just holes in the hillside (occasionally with washing hanging outside) said to be inhabited by gypsies. Nowadays most of the homes in the main labyrinth had all modern conveniences and often they had an extension built on the front to provide a terrace. It was estimated that over 10,000 people lived in these caves. Inside the homes the temperature remained at a steady 20° all the year round (warmer than your house in winter, Kate). Outside it reached 40° in summer and frequently they had snow in the winter. The temperature was 30° when we stopped for lunch. 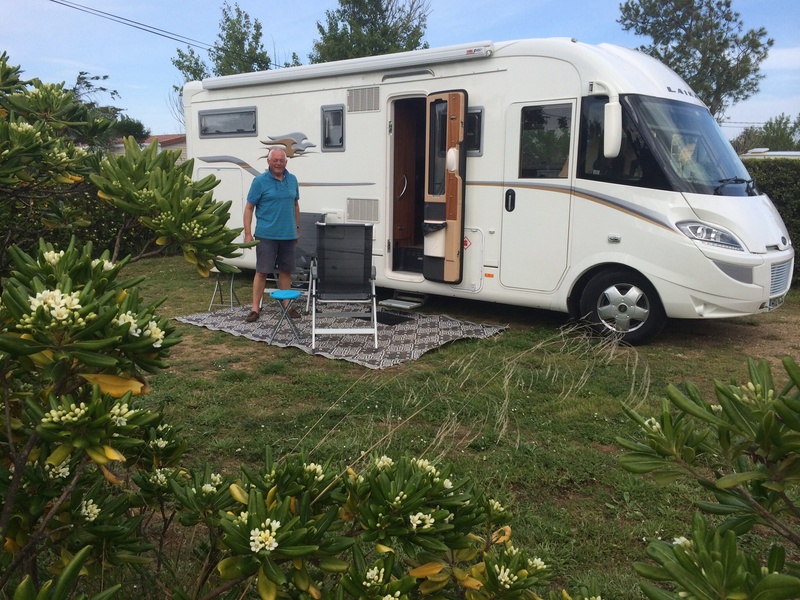 The meal cost €10 each for soup, grilled chicken the size of a cat – it wasn’t, I’m sure – wine, bread, water, dessert and coffee followed by an hour’s siesta in the camper. Our route continued upward and, as we rounded one bend we were surprised to see the snowy peaks of the Sierra Nevada about fifty miles ahead. The snow covered slopes gradually grew nearer as we reached our campsite in the early evening and found a pitch overlooking a huge reservoir. We were at almost four thousand feet and were surrounded by beautiful green hills, some distant ones topped with snow. We sat outside and enjoyed the stunning scenery. It was still 28° at 7pm but pleasant in the shade with a slight breeze blowing. Later we ate tapas in the restaurant with a glass of red wine, overlooking a wonderful panorama of mountains and water. We enjoyed two nights in the mountains where the silence was disturbed only by distant barking dogs and crowing cockerels. 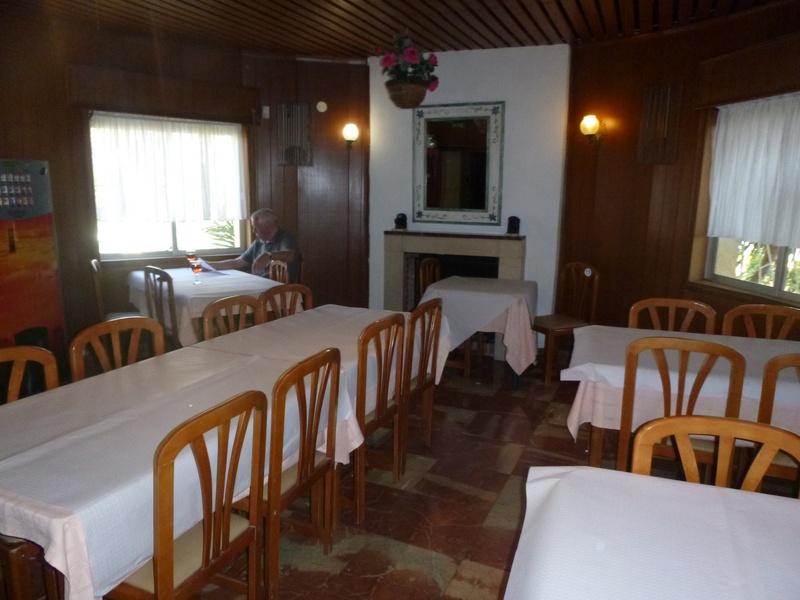 We had a late lunch in the restaurant and found it surprisingly busy, until we realised it was 1st May so some diners would have driven up into the hills for lunch. 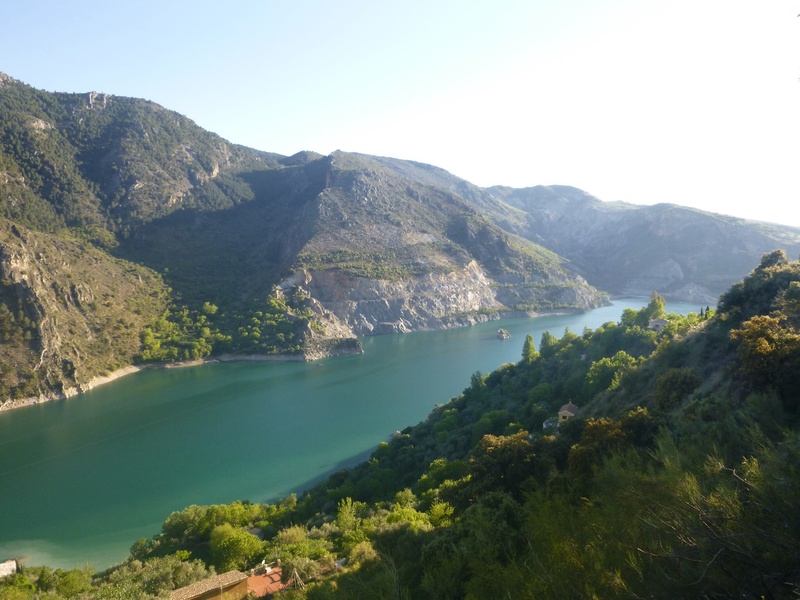 We followed the coast south west heading inland after Valencia (the digital voice of our TomTom pronounces it Var Lens See Arr – last syllable rhyming with first – and, annoyingly, we find the pronunciation has crept into our vocabulary). 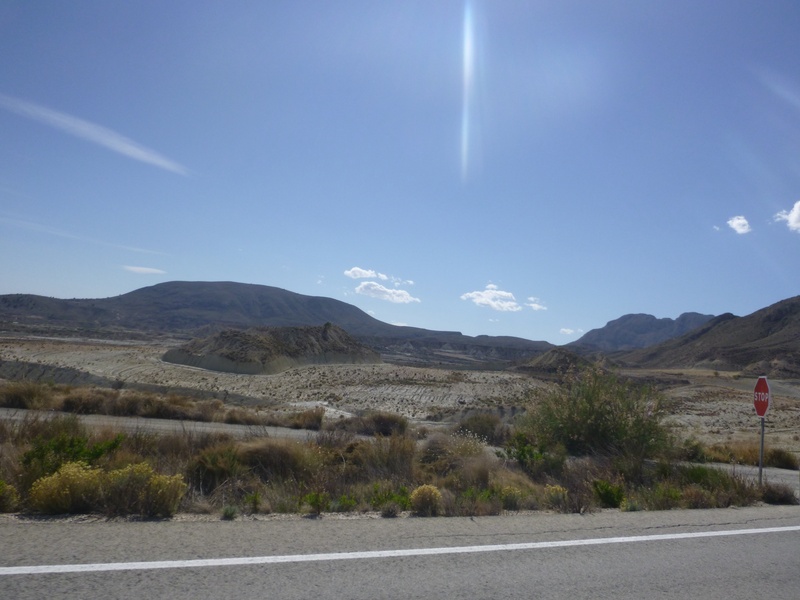 The temperature rose 10° as we travelled into the hinterland of Alicante, reaching 32° in the afternoon sun as we travelled towards Murcia. The road was long and winding and appeared to pass through miles and miles of dusty scrubland, rather like a Western film so we would not have been surprised to see gun toting cowboys galloping by, raising a dust trail. Our destination was Baños De Fortuna which was a thermal spa that miraculously appeared out of the barren landscape. As we turned into the site we were surprised to see everywhere packed with people, often in bath robes, enjoying the waters. The water temperature was recorded as 36°. We were allocated a pitch backing on to a small toilet block containing four separate bathrooms, one if these was our own private facilities with shower, toilet and washbasin. Not a lot to recommend these facilities except it was very clean and, providing the hot water came out of the appropriate orifice when required, this lady would be content. The camp site was not pretty but very functional. The sun was relentless but by then it was 5 pm and the sun was losing its power – and it was almost time for a gin and tonic. Pitch at Baños De Fortuna with private bathroom! There were four hotels on the site so we set off with great hope to find something nice to eat. The first “restaurant” we tried was a dark and dingy glorified snack bar. It turned out that there was only one other restaurant open that evening, serving reheated frozen type food. We had a mediocre meal and wondered where the other hotel guests were eating. 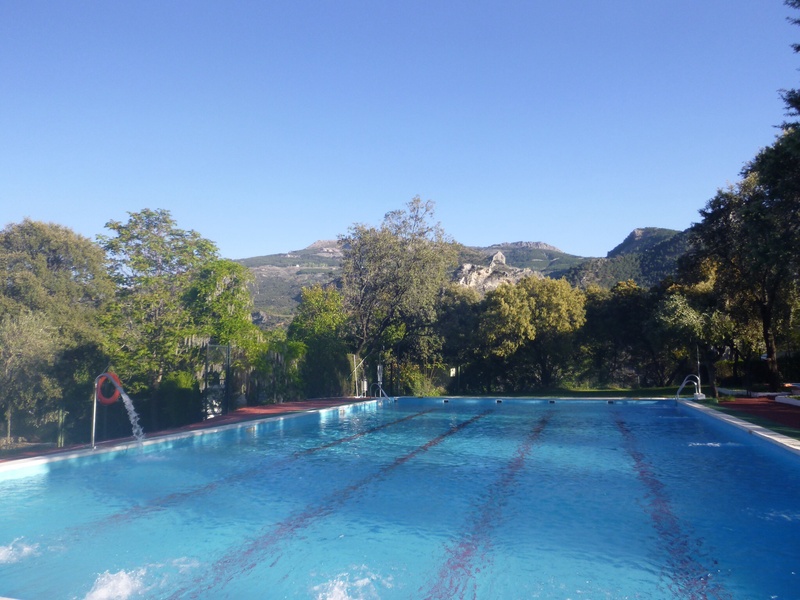 The following morning we presented ourselves at the hotel reception and booked a 90 minute visit to the thermal spa, plus lunch and a visit to the thermal swimming pools. Nobody spoke any English and we found it very hard to explain what we wanted (hint: we were visiting a spa resort, it should not be hard to guess we would like to avail ourselves of whatever was on offer. We were sitting ducks for anything they might suggest). We enjoyed the spa visit, with its variety of thermal pools providing jacuzzi type experience, sauna and showers various. 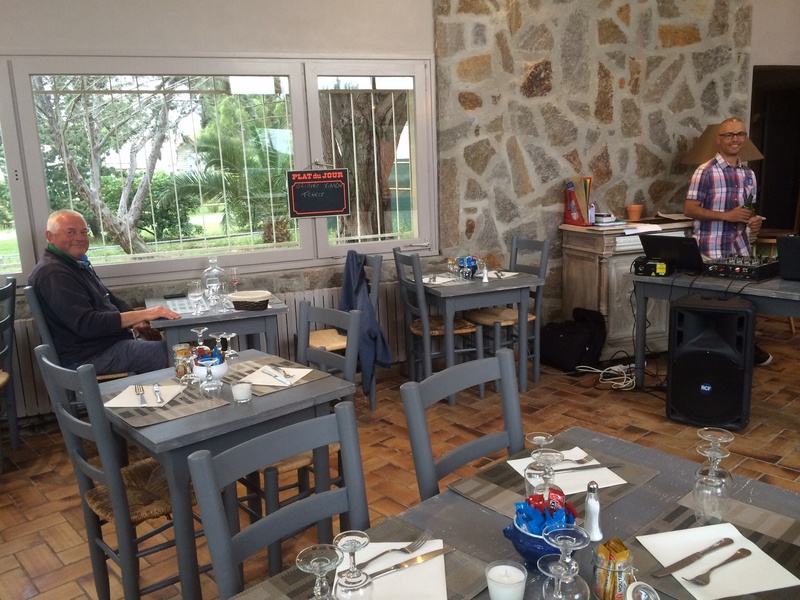 Then it was time for lunch, and we were shown back to the previous night’s restaurant where we had a mixed salad and farmed salmon steak with chips and ratatouille – cost €8 each which included a small beer, a glass of wine, a bottle of water and excellent coffee. We could not complain but we wondered whether the resort missed a trick by not serving more upmarket food. Buoyed with our morning success in the spa, we both booked a massage in the afternoon which was short but sweet. The thermal swimming would have to wait for the morning. 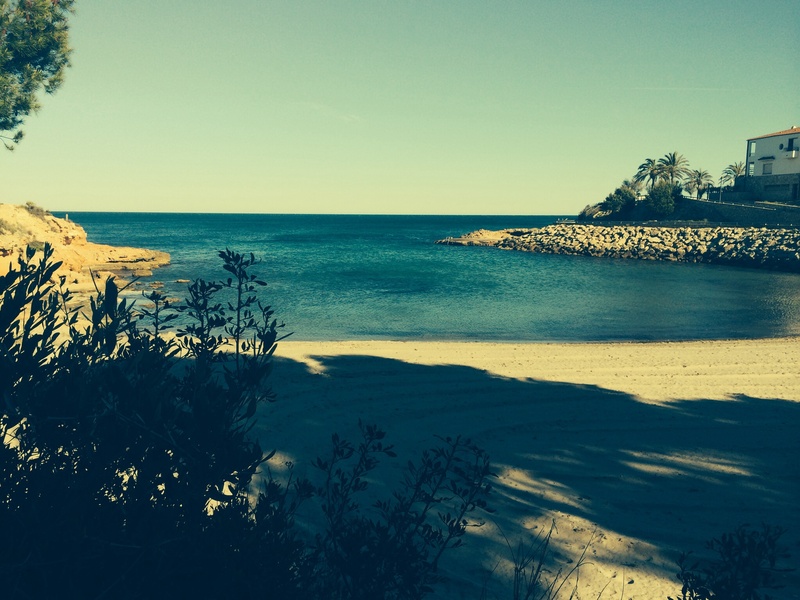 Our campsite in Tarragona was at L’Ametlla de Mar, a pretty site right next to a sandy beach surrounding a small bay. Evening temperature was registering 22° but it was still quite windy. We needed to stretch our legs after the day’s drive so we walked into town to find something to eat. In these parts restaurants don’t open in the evening until 8pm although you could eat earlier in the bars where they serve tapas. The local language was Catalan and it bore little resemblance to the Castilian Spanish we knew. At the restaurant we were offered menus translated into English. However, we often find it easier to choose from a menu written in the local language as the descriptions in English are often quite bizarre. In the same way you could imagine no foreigner would choose “toad in the hole” in an English restaurant unless it was translated more sympathetically as sausages cooked in batter. Anyway, our menu was written in Catalan with English subtitles and proved to be impossible to decipher accurately. When I asked for a menu written in the more familiar Spanish, the proprietor was a bit grumpy, saying “We like English but not this language”. 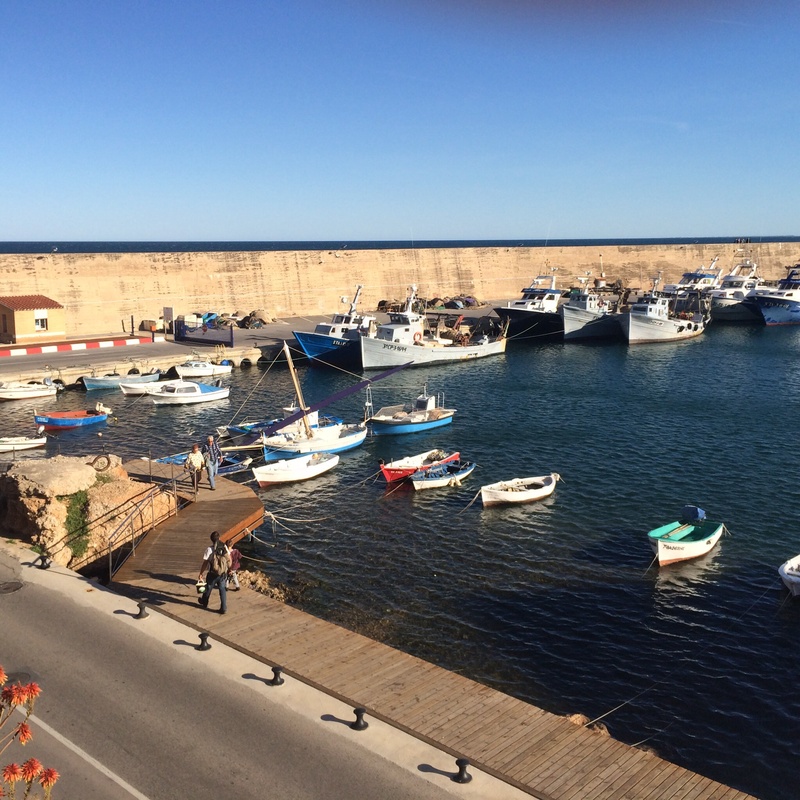 We succeeded in choosing eventually – I had pulpitos, baby octopus cooked in oil, Tony had a huge plate of cheeses. We both had grilled monkfish which was disappointingly over cooked. A couple of glasses of cold, red wine helped the evening along. Cost €66. 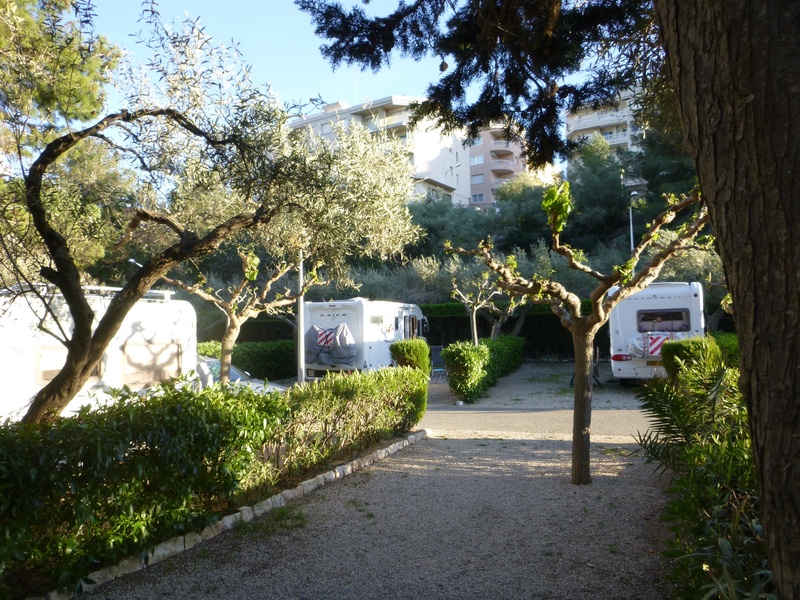 We were reluctant to leave the campsite at L’Ametlla de Mar. We had spent three days there, the ŵeather had been kind, sunny and windy but not too hot. In the guide book it had stated that the town was unspoiled by high rise developments. When we sat in the town square having a beer, the buildings all around us were six storeys high bedecked with ugly aircon units but the early evening atmosphere was typically southern continental with younger children playing in the play park, youths in groups sitting on the grassy areas and older folk populating the park benches. The tables outside the cafés were busy with locals and tourists enjoying the evening sunshine with a drink and tapas. 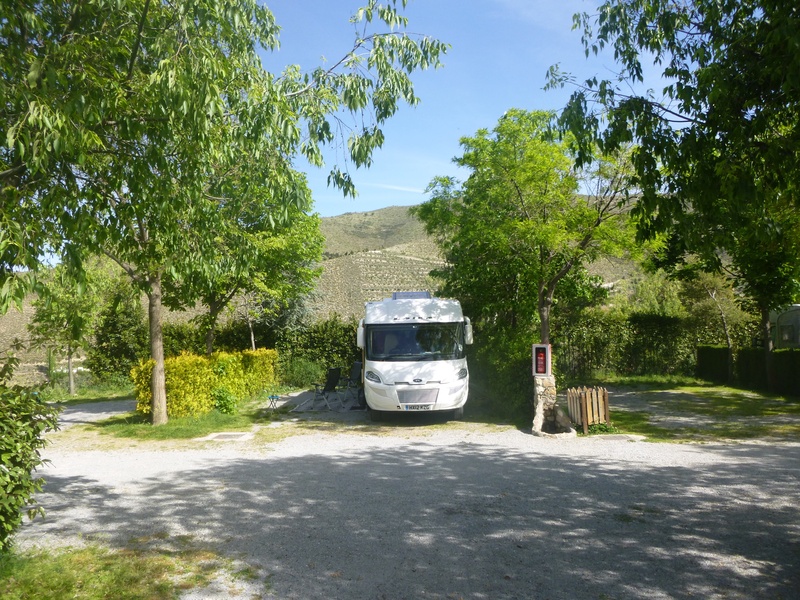 The cost of the campsite, including electricity, drinking water, free wifi and good showers was €50.97. Well worth a revisit. 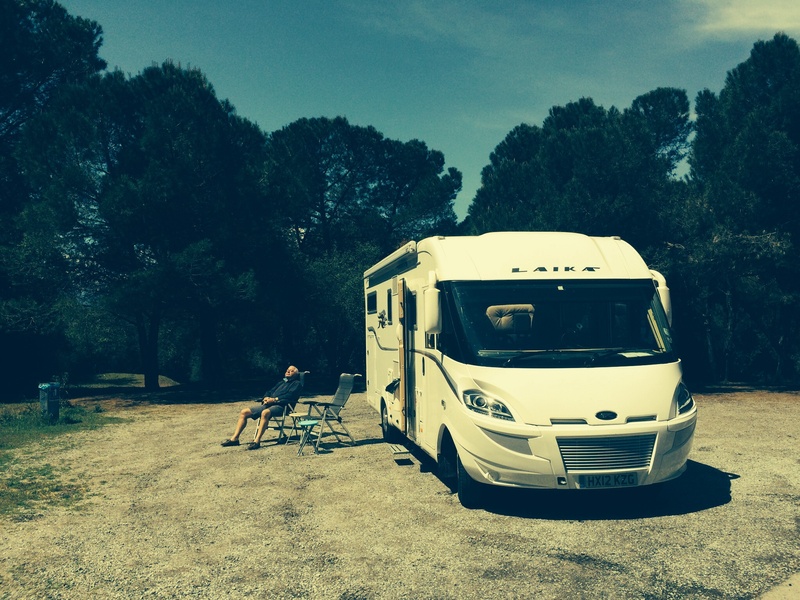 We stopped overnight at a campsite near Narbonne. 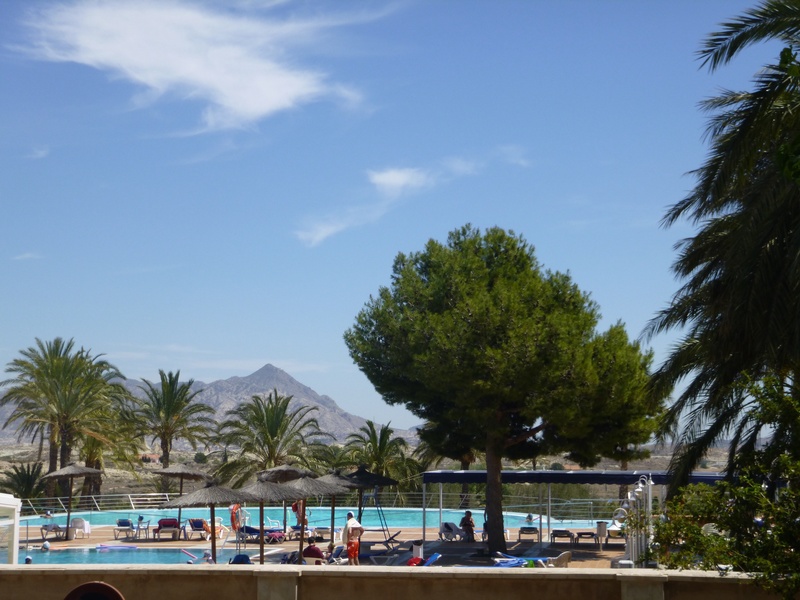 The site had outdoor pools and a flume, we were not tempted because it was too windy but quite a few children were enjoying the water. We sat outside for an evening gin and tonic but it soon clouded over as the wind increased. We had a pleasant meal in the site restaurant, the proprietor was very friendly and brought us a complementary brandy after our meal. I had escargots in a cream sauce and then a steak, Tony had a fish terrine followed by duck breast. We had a pichet of rosé wine and then some red wine. The meal cost €58, a pichet of excellent wine (probably 50 cl) was €5.50. 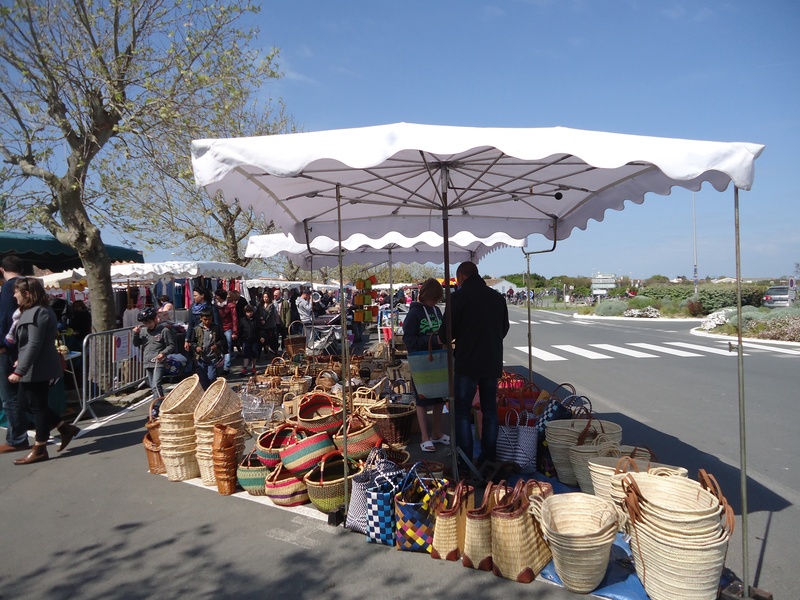 The local wine was so delicious that our first task the next day was to visit La Cave De Gruissan to buy some supplies. A three litre bag in a box of rosé set us back €7.75 – we bought more than one. Gruissan was a pretty town. It was on the coast with narrow streets well populated with restaurants. Worth a revisit. We turned south after Narbonne, heading towards the Mediterranean, leaving France and entering Spain. We stopped for lunch at a service station that had parking in the shade amongst the trees. We got out our chairs and brewed a cuppa and ate a soggy sandwich and a tuna salad in a plastic pot which tasted of cat food. Our next stop was to see Caroline and Charles Lamb at Monségur, south east of Bordeaux. We had spent a frustrating day in and around Bordeaux trying to buy a replacement wheel for Tony’s Kalkhoff bike. The bike was stored on the back of the camper when there was an unfortunate incident with with a tree whilst we were reversing into a parking space. The bicycle wheel was bent beyond repair. We found three Kalkhoff dealers in the area and we visited each but none of them stocked a spare wheel. Tony finally gave up and phoned Kalkhoff in England and asked them to send us a wheel from the UK. We found Charles and Caro busy working on their house. They had builders in constructing an extension and Charles was laying a concrete base for a small swimming pool. After a refreshing cup of tea and several glasses of wine, we enjoyed a delicious meal of filet steak with barbecued vegetables. The following morning we drove over to their daughter’s house half an hour away. Jay and Zöe have a lovely 19th century country house with large, beautifully proportioned rooms complete with an Aga in the huge kitchen. They had done a lot of work to the house and were in the process of constructing a swimming pool, much to the delight of their two young children, Colin and Gracie. After coffee and biscuits we said a fond farewell to the Lambs and were on our way, heading south east towards the Mediterranean coast through Toulouse, Carcassonne and Norbonne. 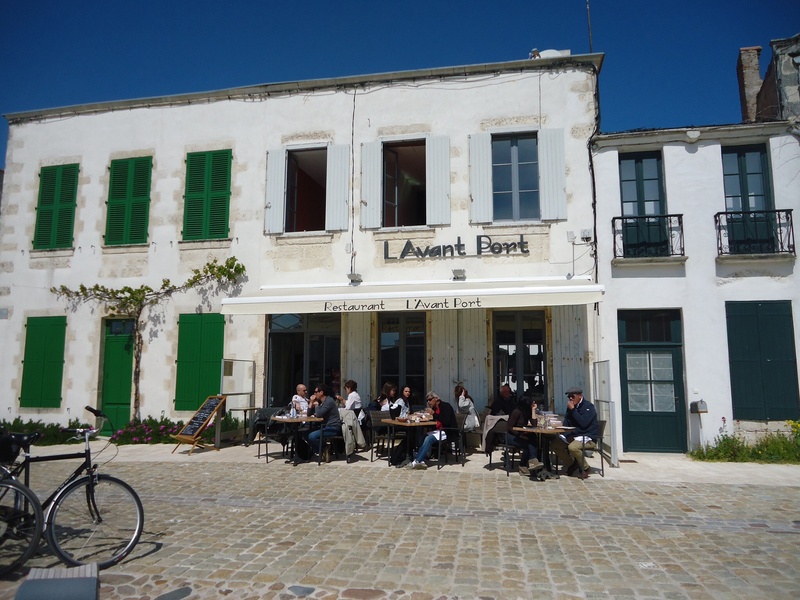 The weather was dry and sunny for the four days we spent at Couarde Sur Mer on the Île De Ré with temperatures reaching 20° in the afternoon sunshine, warm enough to sit outside providing you were sheltered from the chilly wind. At night the temperature dropped to about 6°. We spent our days cycling around the island, the cycle ways brightly decorated with spring flowers. Wisteria and lilac were already in full bloom. We visited local markets and often found somewhere to have lunch before returning to our campsite in the late afternoon. 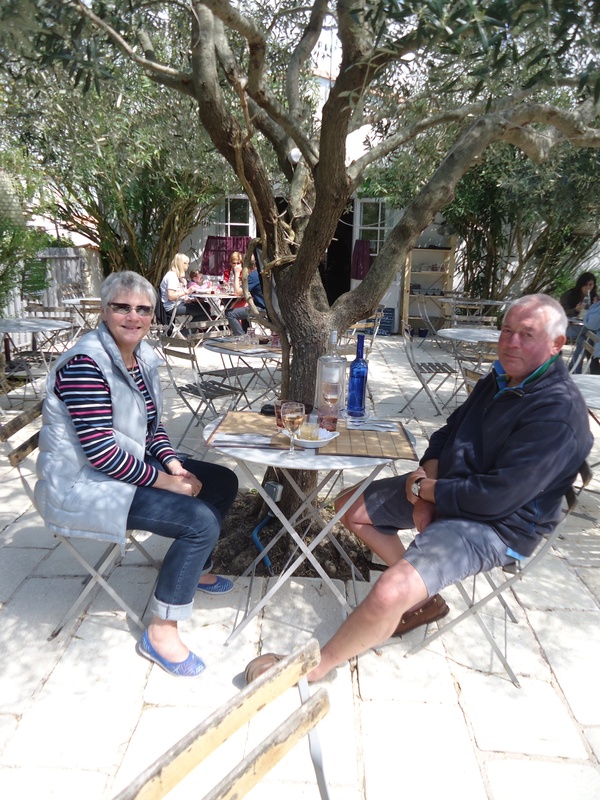 We revisited an excellent restaurant in Ars en Ré where the food was slightly more sophisticated than the plates of oysters or fruits de mer served with bread and a carafe of local wine that we had been enjoying. At this restaurant we enjoyed ravioli stuffed with langoustines, cuttlefish stir fried with vegetables, fresh mackerel pâté and the most beautifully prepared hake (merlu) filet cooked so lightly that the flesh was moist and almost translucent; this could only be achieved with the very freshest of fish. Two courses and a bottle of decent rosé came to €94 – but it was well worth it – and no supper required. 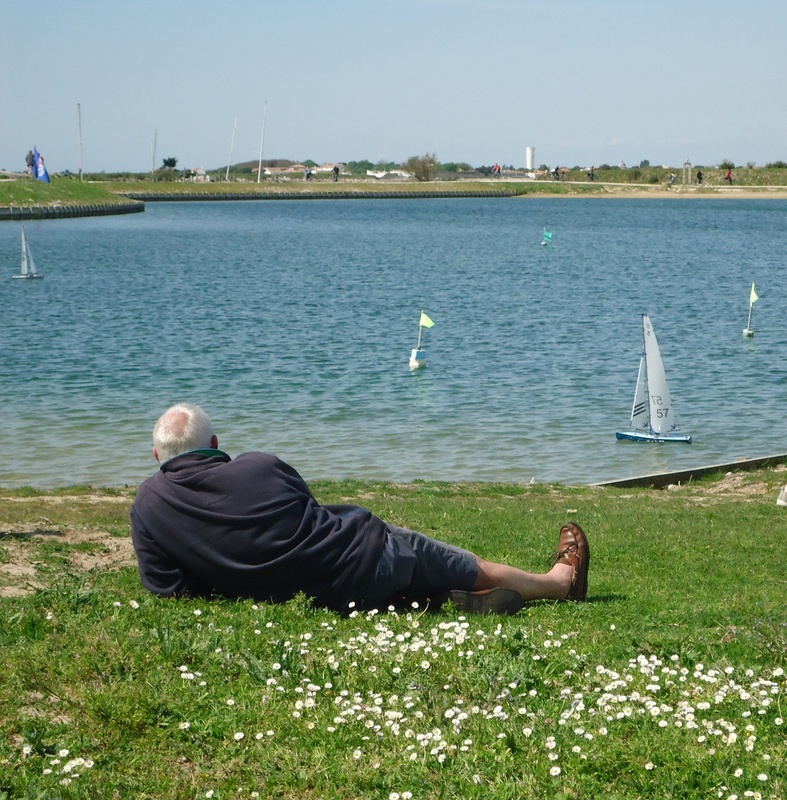 We drove from Calais to Le Crotoy, a small town on the Baie de Somme. 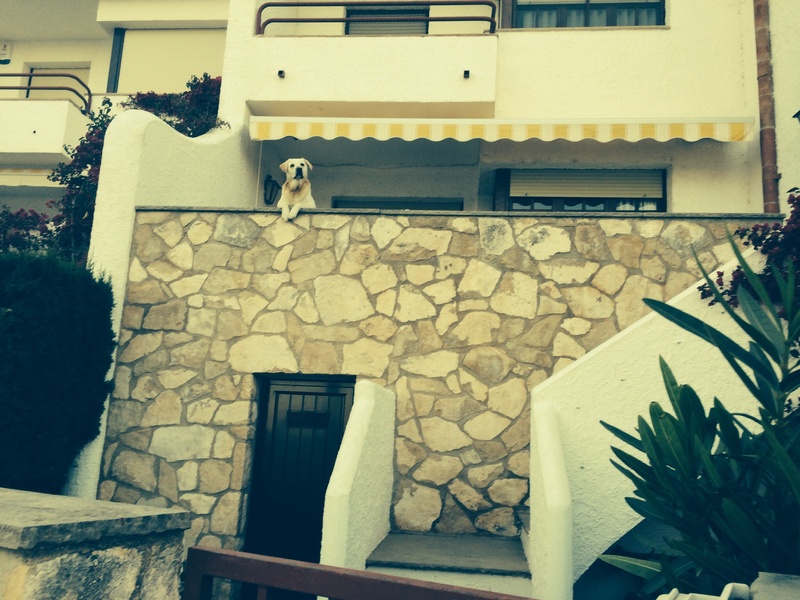 It is one of our favourite places to stay. 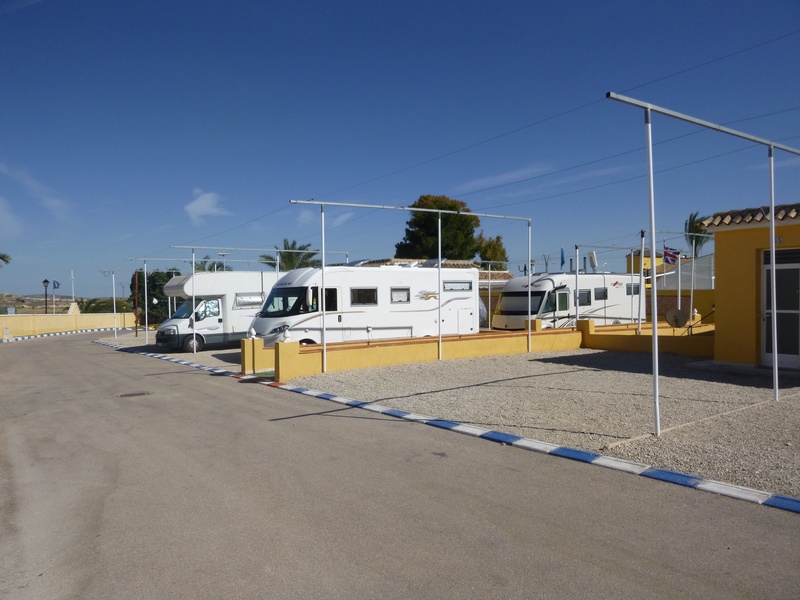 There is a large, sandy camper park five minutes walk from the town centre. 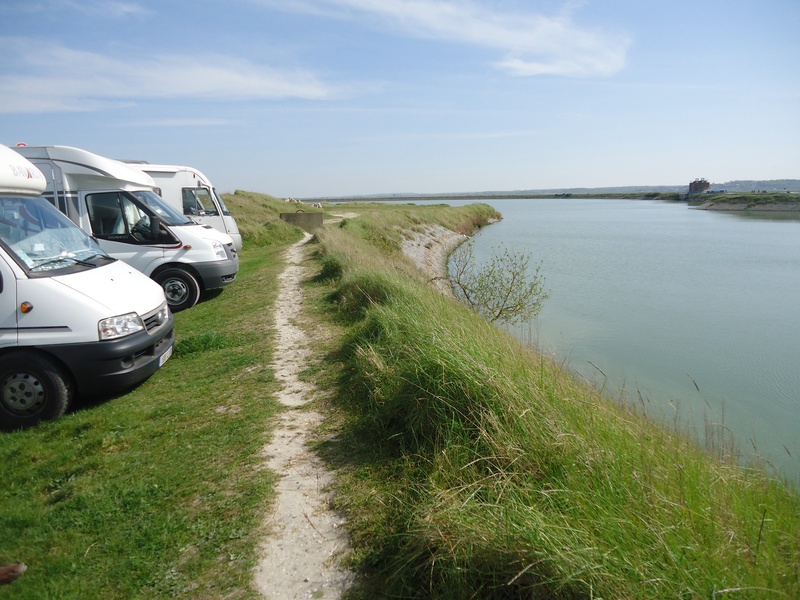 We arrived mid afternoon to find the site pretty full with about sixty campervans but there happened to be one space in a prime spot overlooking the bay. We were soon sitting in the sunshine enjoying the view and a cuppa. 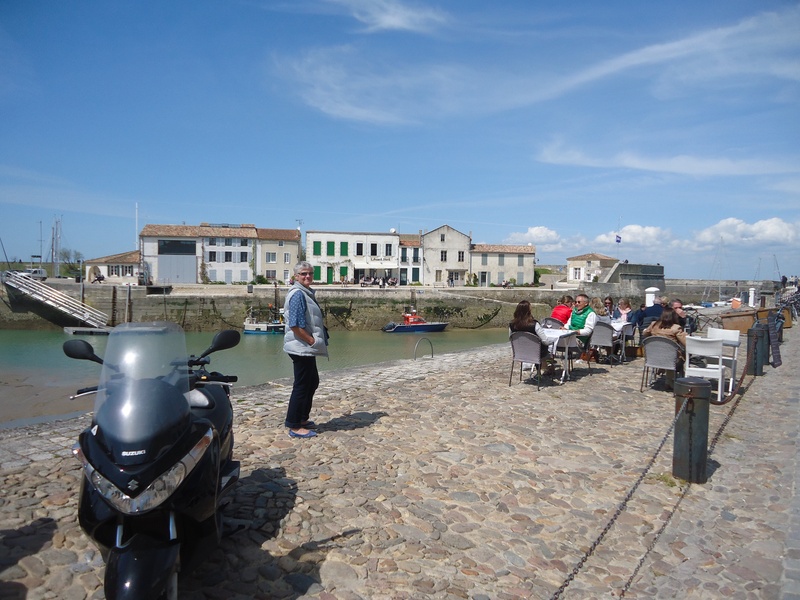 Later that evening we walked into town for oysters followed by a lovely fresh turbot. 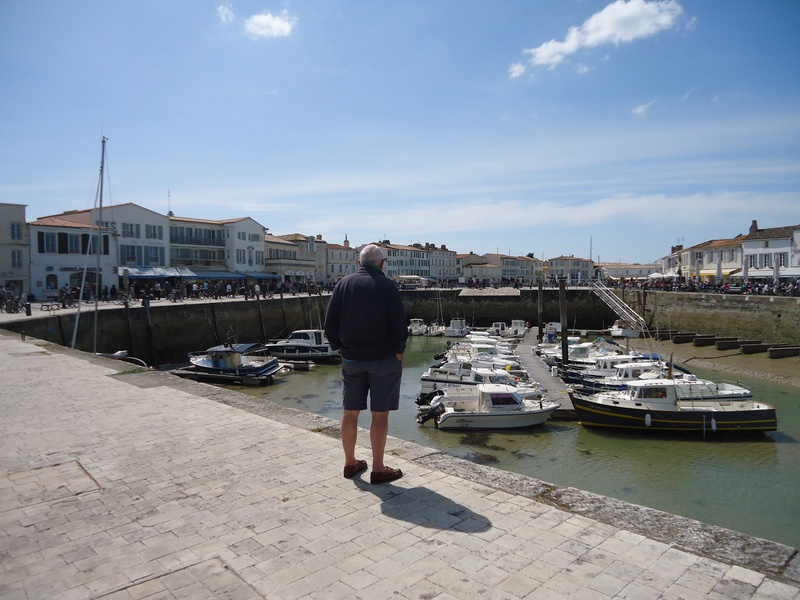 The following morning we drove south, heading for La Rochelle and the Ile de Ré. It was a long drive so we kept to the motorways. The sun was shining and it was a pleasant drive. We stopped for fuel at a service station. There was a long queue at the pay desk so Tony had to wait. As he got to the front of the queue an elderly man pushed in front of him. Tony remonstrated with the man and the girl at the counter but they took no notice. The girl impassively took the man’s payment, then the man turned and smiled at Tony as he left. Tony, who doesn’t speak French, said “sacré bleu”. There were lots of people at the service station as it was Good Friday and a public holiday. We watched a woman exercise in her large dog on the grass where children were playing. The dog did its business and the woman just walked off leaving the mess. 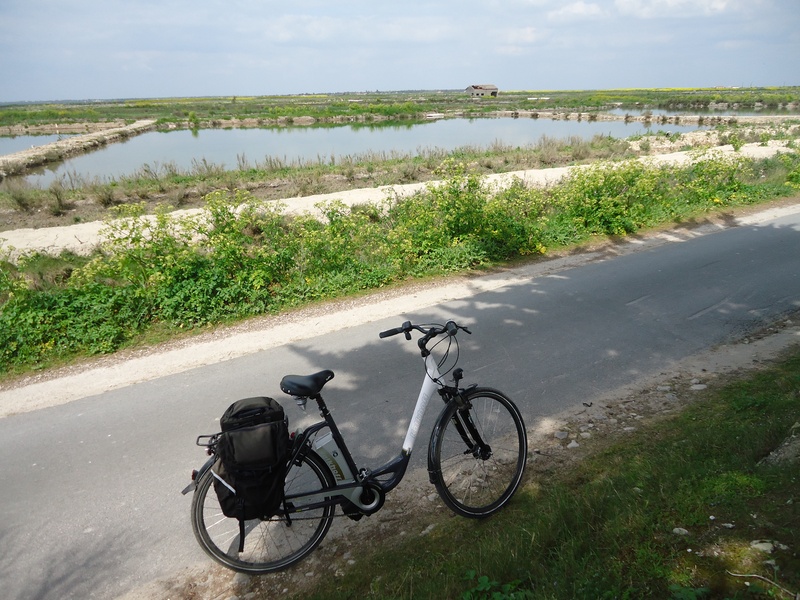 We arrived at La Couarde Sur Mer on the Ile De Ré where we planned to stay for a few days, getting out and about on our bikes enjoying some beautiful, sunny weather . . . and the local oysters.